Will-Moor is proud to announce another 2019 State Vault Champion! 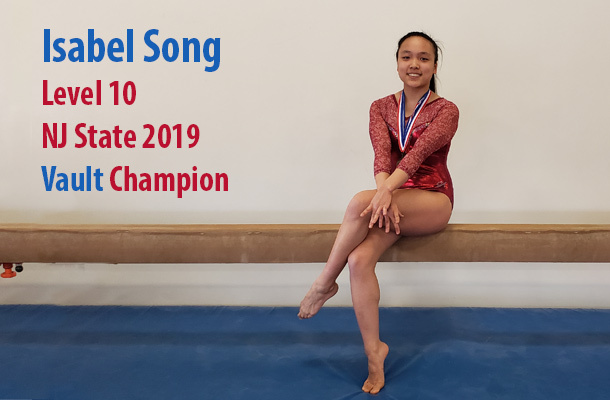 A great start to our weekend with Isabel bringing home a 1st place in the first session of the NJ State Championships held on March 15, 2019 at Rutgers University. Isabel’s scores were 1st on vault = 9.45, 2nd on Bars = 9.500, 3rd on Beam = 9.500, 3rd on Floor = 9.325 and finished 2nd All Round with 37.775.